Lockhart Sebastien said Windward Islands had promised much in recent seasons and felt this year's Regional Super50 and 4-Day Tournaments was the right time for them to deliver. 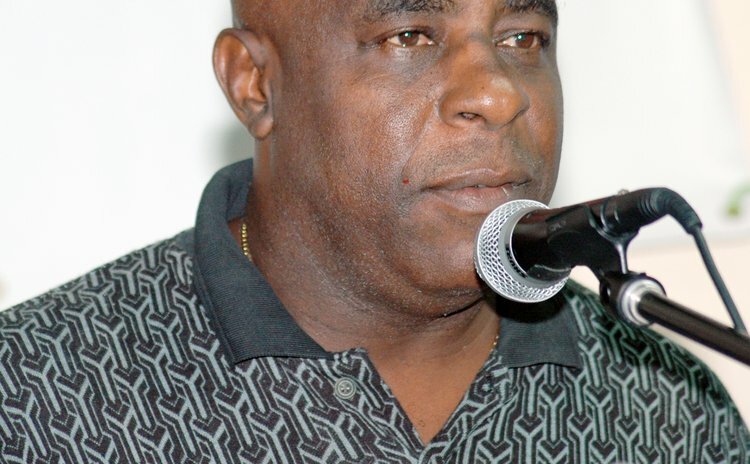 The Windwards manager said his side had become very competitive in regional tournaments in recent times and were even considered one of the favourites for this month's Caribbean Twenty20 Tournament. But Sebastien felt that too often they had frittered away their chances of titles and hoped to see stark improvement in this area during the remainder of the regional season. "Success, in my view, would be winning, at a minimum, the RS50," he said. "It may be a bigger challenge for us to win the 4-Day, but I think we have the resources to win the RS50. "If we can win the RS50, reach the semi-finals and then the Final of the 4-Day and still produce a few players worthy of consideration for selection to the West Indies team, I think this would equate to success for us this season." He added: "Many people backed up to reach the Final of the CT20 and we did not get there, but we have become far more competitive in recent seasons. Many people feel we are a good enough team and so our first goal must be to reach the semi-finals of both tournaments. "Too often we reach the semi-finals of regional tournaments and we don't know how to get over the final hurdle. We are hoping that fortune favours us this season, and we will reach the Finals and win one of the tournaments." Sebastien said Windwards were fortunate that most of the side that played in the CT20 formed the nucleus of the RS50 and the 4-Day team. He said the Windwards would be looking to make home advantage provide a major thrust in their quest for a rare regional title. "West Indies captain Darren Sammy and West Indies opener Johnson Charles are the only two that will not be available for the whole season, but Donwell Hector and Dalton Polius have played previously and have been included in the squad," he said. "We are confident we can start well. We are playing our first four matches on home soil – St. Lucia has one match, two are being played in St. Vincent and one will be played in Grenada – so we are hoping to make home advantage count. "Our bowling is typically strong, so we are hoping that our batsmen can put together some runs that will allow us to be very competitive in the first four matches." In this regard, Sebastien said Charles and Keddy Lesporis, a beneficiary of a year at the Sailor West Indies High Performance Centre, had to play a big part. "Neither has scored first-class hundreds, and I think they are two of the players that we will rely heavily upon to take the responsibility of putting the runs on the board," said Sebastien. "Andre Fletcher did not do very well last year, but he has just returned from the Sailor WIHPC, so we expect him to step up. Our captain Liam Sebastien, we also expect big things from him, and Devon Smith – the veteran – did not have a good season last year, so we expect him to rebound. "Our bowling I'm not too concerned. Delorn Johnson, Nelon Pascal, Kenroy Peters, Liam, Shane Shillingford and Garey Mathurin form an attack that's as good as any in the tournament – but the batsmen have got to step it up and help Windwards to move forward." Sebastien said he was looking forward to see how the season unfolded with the new format, which sees the teams alternating between the two styles of the game. "I'm not sure about the format yet," he said. "What I like is that the players have more matches and more opportunities to play. I like the idea that you have six matches to play before you reach the semi-finals. "The disadvantage is that some teams may not be able to deploy their full squad of limited-overs players in particular, since we will only be able to replace three players. "But I think it is still a step in the right direction and let's hope the players take full advantage of this opportunity."